Incorporating chatbots for business reasons can serve multiple purposes - and audiences - for a single organization. They also have the ability to synthesize information quickly, saving your staff the time it would take to answer questions from either inside or outside your company. Let's take a look at five ways in which you can use chatbots for business purposes to help you share information efficiently and effectively. Let's say you have an employee who recently got married. They need to update their insurance plans, change the number of dependents on their tax documents, and add a new beneficiary. They've never gone through this before, so they log in to the company's HR portal armed with questions. A chatbot integrated with your company's HR platform can help the newly married employee with everything they need short of sending them on their honeymoon. Internally, your employees may have multiple questions regarding HR that are easily answered but require attention. Rather than dedicating your HR representative's busy schedule to fielding these questions, a chatbot could be the main touchpoint for your employees. Having a chatbot to direct your employees in the right direction would ensure your HR team spends less time answering routine questions and your employees would spend less time having their questions answered. A chatbot could be a particularly helpful resource during open enrollment when employee HR-related questions tend to peak. Navigating the complexities of corporate culture isn't easy. With a chatbot, your employees won't need to worry about accessing company information on their own. If you have a company-wide intranet or SharePoint set up with vital files your employees need to access, providing a chatbot with access to all company portals and apps could help it serve as a reference assistant for your employees. You'd essentially create a virtual tour guide, able to integrate all systems and mine company documents for data your employees need to do their jobs better. Whether they're searching their cloud drive, the company shared drive, their calendar or email inbox, having a chatbot could serve as your enterprise AI, reducing the time spent by your employees tracking down important files. Your chatbot could also help your employees navigate all company policies along with any corporate handbooks that provide guidance. If an employee ever had a question regarding a specific policy, a chatbot could help them find it without having to dig through a larger playbook or standard operating procedure. It can also help capture more tacit knowledge around your office, such as the location of company break rooms, where supplies are located, best nearby restaurants to take clients, or who is the best singer in the office. Attracting and retaining top talent is one of the most critical components of any successful organization. In a survey conducted last year, 69% of talent acquisition professionals claimed that using AI as a sourcing tool garners high-quality candidates. 60% of candidates drop out of the application process due to complexity and length. A chatbot can help make your talent acquisition process function much more smoothly for you and your candidates. A chatbot can help your talent acquisition specialists answer your candidates' questions and qualify leads. They can also interact with potential candidates, quickly answering frequently asked questions about your company and providing prompt information to candidates you'll want to hold on to. Having a highly functional chatbot able to answer company-based questions reflects positively on your company. It shows recruits that your company operates effectively and understands the importance of efficiency. It also helps your recruiters find information more quickly, letting them move the hiring and background check process faster. Having a chatbot on your public-facing website is a great tool for answering potential customer concerns. It can help you capture leads, win new business, and send customers with specific questions to your chosen customer-relationship management tool (CRM) if the customer expresses a desire for follow-up. It can do all this with conversational AI that attempts to predict and fulfill the customer's informational needs. Having a chatbot to gather data on frequently asked questions can also help inform your sales team's practices. By hearing the concerns of customers in your market, you can determine how to tweak both your product and sales approach to better answer these concerns in the future. Once your customer has purchased your product, at some point they may need assistance. Whether its an IT product, some other type of physical product, or a service, any issue will leave them wanting help quickly. A chatbot can provide this customer service support. It can answer the customer's question if it is a frequently asked one. If it can't, it can escalate the issue to the appropriate point of contact with your company. Rather than having your customer submit a form and wait for your response, a chatbot provides instant recognition and transparency into the troubleshooting process. It can guide your customer through the solution using conversational AI that keeps your customer at ease. If they can't recommend an easy fix, it can promptly acknowledge a customer's issues, alert them that the problem is understood and moving towards resolution. No matter what level of customer service support you're able to offer the customer at a given time, having a chatbot in place to leave the customer feeling heard is an easy way to quell the customer's concerns in solving a problem. 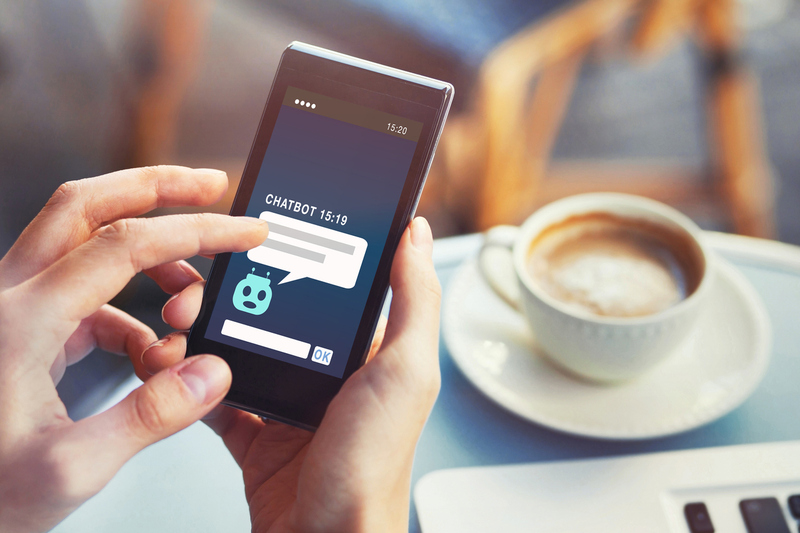 Implementing chatbots for business and strategic communication improvement gives your organization a versatile tool that can aid both your customers and employees. Its effectiveness as an AI assistant for business increases exponentially when you choose one platform to serve all your chatbot-related needs. Rather than forcing your employees or customers to switch back and forth between multiple apps to get information on your company, they can go to one source.